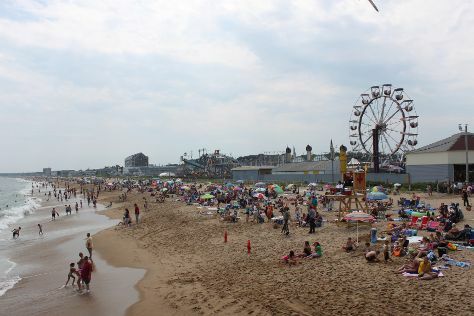 On the 11th (Thu), stroll through Old Orchard Beach, then grab your bike and head to Eastern Promenade, and then see the interesting displays at Portland Head Light. To see photos, where to stay, ratings, and more tourist information, you can read our Portland sightseeing planner. Sioux City to Portland is an approximately 8.5-hour flight. You can also drive. The time zone changes from Central Standard Time to Eastern Standard Time, which is usually a 1 hour difference. Expect a daytime high around 62°F in October, and nighttime lows around 43°F. Finish up your sightseeing early on the 11th (Thu) so you can go by car to North Conway. Kick off your visit on the 12th (Fri): take in the dramatic scenery at Diana's Baths, take in the views from Honeymoon Bridge, and then take a memorable drive along Kancamagus Highway. To see reviews, where to stay, ratings, and more tourist information, go to the North Conway trip itinerary builder . Getting from Portland to North Conway by car takes about 2 hours. Other options: do a combination of bus and taxi. In October, plan for daily highs up to 62°F, and evening lows to 45°F. Wrap up your sightseeing on the 12th (Fri) to allow time to drive to Plymouth. Kick off your visit on the 13th (Sat): examine the collection at Heritage Museums & Gardens, engage your brain at Sandwich Glass Museum, then take in nature's colorful creations at Brewster Gardens, then don't miss a visit to Plymouth Rock, and finally steep yourself in history at Mayflower II. To see photos, other places to visit, ratings, and more tourist information, read our Plymouth trip itinerary builder . Getting from North Conway to Plymouth by car takes about 4 hours. Other options: do a combination of car, flight, and bus; or take a bus. October in Plymouth sees daily highs of 65°F and lows of 46°F at night. Finish your sightseeing early on the 13th (Sat) to allow enough time to drive to Newport. On the 14th (Sun), see the interesting displays at The Breakers, take a memorable drive along Ocean Drive Historic District, and then appreciate the extensive heritage of Cliff Walk. For ratings, other places to visit, where to stay, and tourist information, go to the Newport holiday builder app . Drive from Plymouth to Newport in 1.5 hours. Alternatively, you can take a bus; or do a combination of bus and train. In October, daytime highs in Newport are 64°F, while nighttime lows are 50°F. Finish your sightseeing early on the 14th (Sun) so you can drive to Mystic. On the 15th (Mon), see the interesting displays at Mystic Seaport Museum, then admire nature's wide array of creatures at Mystic Aquarium, and then steep yourself in history at Olde Mistick Village. To find photos, traveler tips, more things to do, and tourist information, use the Mystic road trip planner . Traveling by car from Newport to Mystic takes 1.5 hours. Alternatively, you can do a combination of bus and train. In October, plan for daily highs up to 65°F, and evening lows to 48°F. Wrap up your sightseeing on the 15th (Mon) to allow time to take a train to Boston. 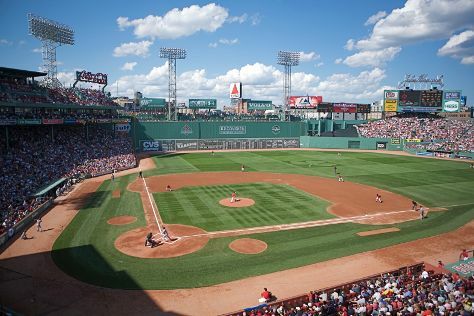 Start off your visit on the 16th (Tue): get to know the fascinating history of Freedom Trail, then take in nature's colorful creations at Boston Public Garden, and then admire all the interesting features of Fenway Park. On the 17th (Wed), you'll have a packed day of sightseeing: tour the pleasant surroundings at Rose Kennedy Greenway, then stroll through Boston Common, and then explore the world behind art at Museum of Fine Arts. To see ratings, photos, and other tourist information, use the Boston driving holiday planner. You can take a train from Mystic to Boston in 2 hours. Another option is to drive. October in Boston sees daily highs of 64°F and lows of 50°F at night. Finish your sightseeing early on the 17th (Wed) to allow enough time to travel back home.